These painting are by prominent North Surrey Artists members. 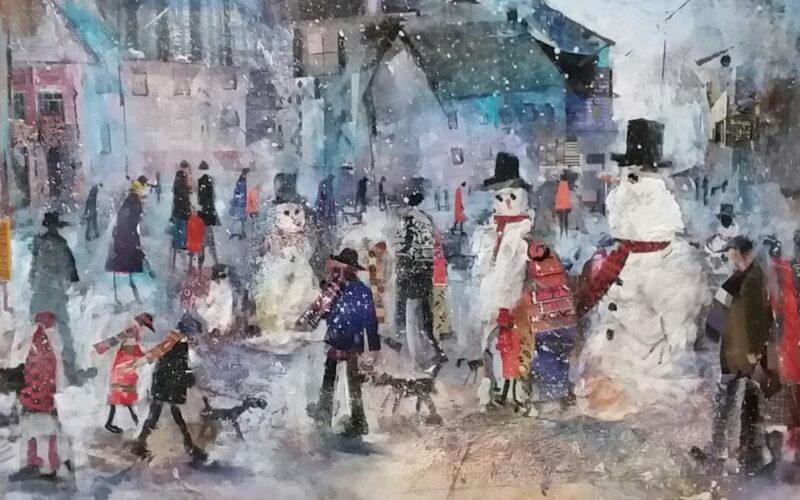 At the top of the page is ‘Snowmen’ by Christine Taherian. 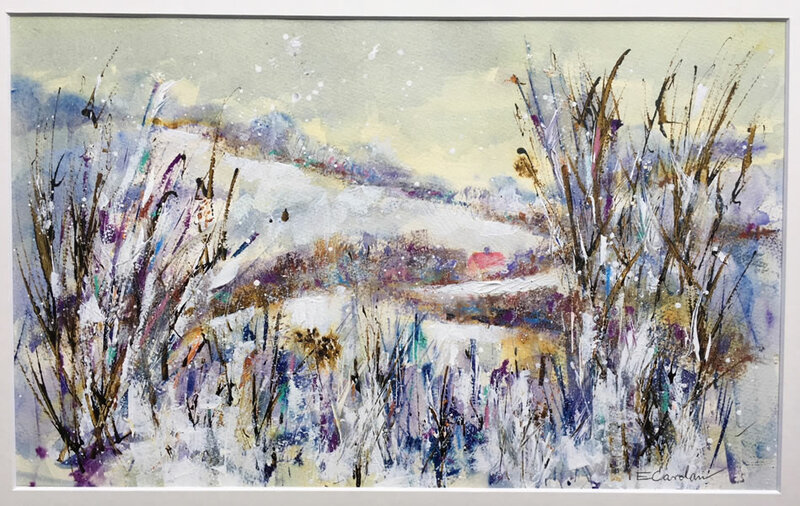 The other two are ‘Frosty Morning’ (left) and ‘Deepest Winter’ (above) by Elisabeth Carolan. Both are mixed media. 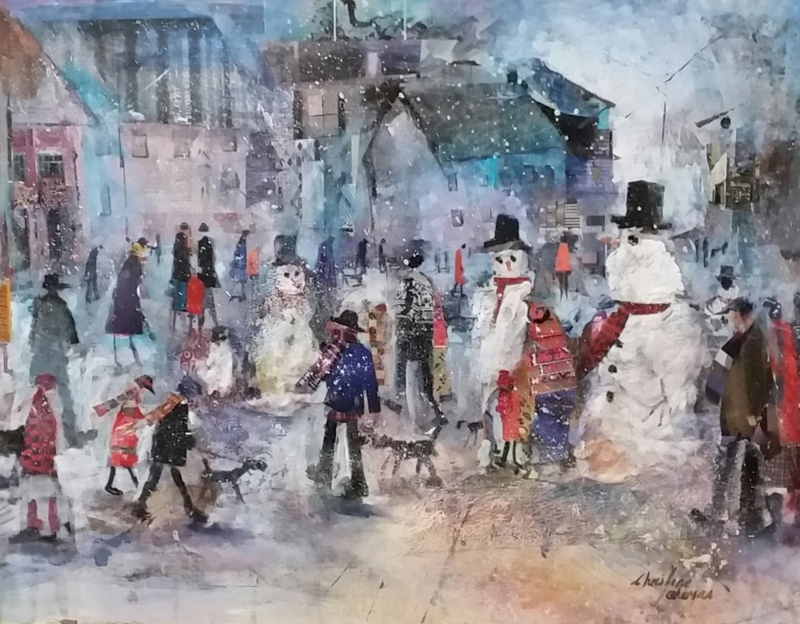 ‘Snowmen’ was recently awarded the public vote at the Lightbox Woking Society of Artist exhibition.